STEP ONE: Decide how damaged your image is. Compare your photo to one of these levels which you can see by scrolling down. Level 5 for £60: Image just about faded, disappeard, cracks in face, missing pieces and improved. 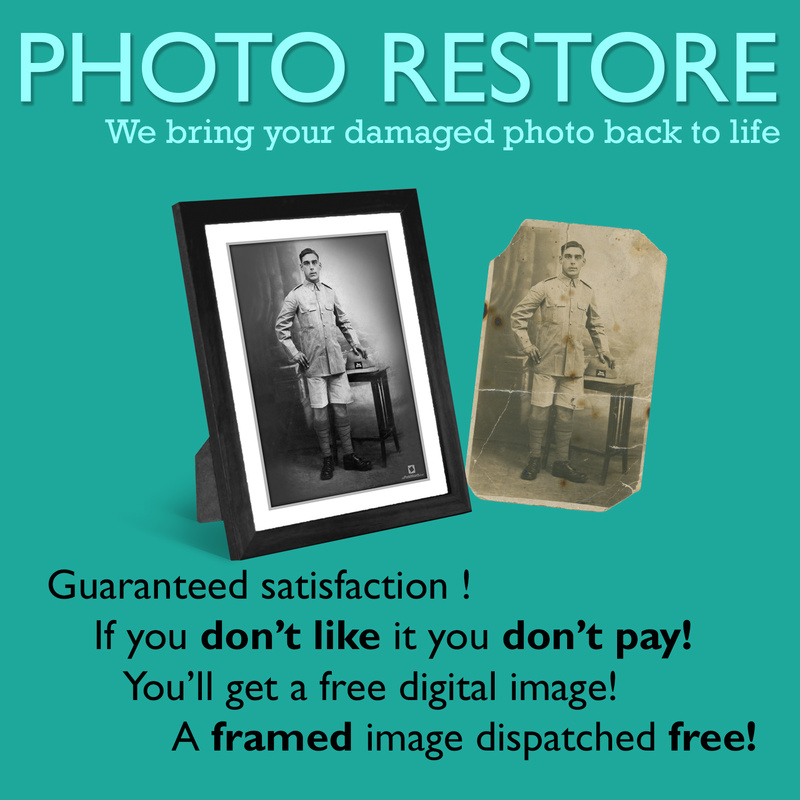 We provide an excellent service for anyone who requires their precious photos to be brought back to life. With 40 years worth of experience in restoring old photos, we know very well how important these images are of generations gone. As every job in this category is totally different we are unable to give you a definite quote for your individual restoration until we have viewed it. However as standard; all photo restorations come sharper with colour/contrast improved (general image enhancement) and printed and framed at a full 10x8" size and ready to hang.